SNet Provide all type of managed services including Network, System, Application Management. 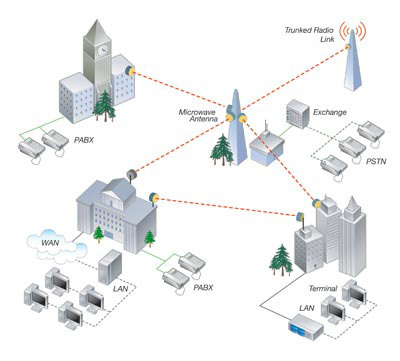 Also Provide other solution related to branch connectivity, wireless point to point or Multi point. for network operator mikrotik solution for bandwidth management, firewall solution, user billing management and many more. We provide a complete IT solution service to small and medium sized businesses. By bringing together years of IT experience in technical support, consultancy, development and fault resolution - we can help keep your business computer systems working for you. Our core business is IT Solution to small and medium-size business. We manage, set up and develop IT systems, leaving you to run your business and benefit from all that modern office technology offers. 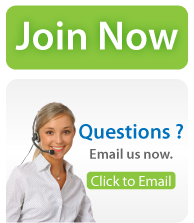 We provide unequalled IT support based on your own unique, proven system. At Snet It Solutions, you will find a personal, proactive approach, the very opposite of so many others who provide the majority of there support remotely. We are anything but ‘remote’! To clients we are like their own dedicated in-house IT Department. Our Support Team comprises highly skilled IT professionals who pool in-depth knowledge and experience. They also get a buzz working with people in different areas of business, and are expert listeners. In Wireless Connectivity we have wide range of solution for all SME and network operator to connect two location with with high performance link, law latency on 2.4Ghz , or 5.8Ghz. We have solution for wireless hardware in cost saving price with high quality standard link and device. currently we have Mikrotik, Ubiquity, NDC, Sieno, Radmax, and more market leaders, who server high performance device in cost saving price. for buying or see specification go to SNet Shopping. For point to point connectivity we using one pair of device, antenna,& pigtail to connect both site. its up to client that which device we need to use,and also for frequency it depends on channel traffic and throughput requirements. 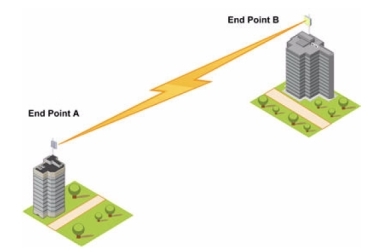 In Point to Multi point, basically one high power AP at the center location and other site connected to this center location. its very cost effective solution to connect different site in center location, its cost effective because of in point to point we need 2 device to connect each location, but in point to multi point we need to fix one high performance AP at center location and after that we can add as many client site as you need to connect, so for every link we need only one device to connect site because we have AP in center so we directly connect site and save cost and time. Routing, Load Balancing, Tunnels and VPN, Bridging, Bandwidth Management, Cache Router and Network Administration, Wireless Setups, Modem Setups, Campus Wi-fi, Firewall HOTSPOT. We have wide range of cost effective solution to make your office, home, colleges and organization completely wi-fi with user authentication, local home page for user to login, check usage and many more. for more information call or email to us and our sales & technical team get back to you. * Once Clint Approve Quote SNet audits client infrastructure and workout on expected changes, Suggestion and discusses with client for routine problem issues. * SNet technical team work out on client infrastructure and come up with best possible solution for client and arrange appointment with client for authority to access and possible changes in infrastructure. * After fix up all possible changes SNet install one small application in client PC which is connected to internet for giving Remote Support. After competing AMC Step, SNet monitoring your infrastructure remotely and if getting any problem we try to fix up remotely. Generally after this three step client not getting more problem except some major problem or interference of networks. * Interference of networks and etc on client demand. Generally we are trying to lock your complain and try to fix up as soon as possible through remotely. If in any condition problem not fix up remotely we are transferring call to our field support engineer and in 10 hours SNet attaining your complain onsite. * Complete transparency with detailed reporting on all actions taken, downtime and solutions. You know what you’re getting for what you pay. In short, SNet is like having your own IT department for one low fixed cost, customized to your organization size and needs so your solution is not too big, not too small, but just right. * Structured cabling, networking, workstation maintenance. * And many more related to IT support and Solution. SNet believe in giving cost effective & high performance solution for client, after all we care for your business needs to step up with the newest technology. * SNet engineer visit once in every month onsite for routine audit of Client infrastructure. * In wireless device we covered only basic service, firmware up gradation, POE. * SNet not cover any wireless fault related to chip level, fire or lighting damage, or stolen issues and etc. * If hardware supply by SNet then we are completely take care of your devices as per standard warranty. And if not then we are look forward to client and advice client to follow up with your vendor from you purchase the device. * If any problem related to wireless device and client phase link down, SNet giving you backup link and up link as soon as possible. And SNet not charge for that just giving client a backup and when device repaired we take back our backup link.